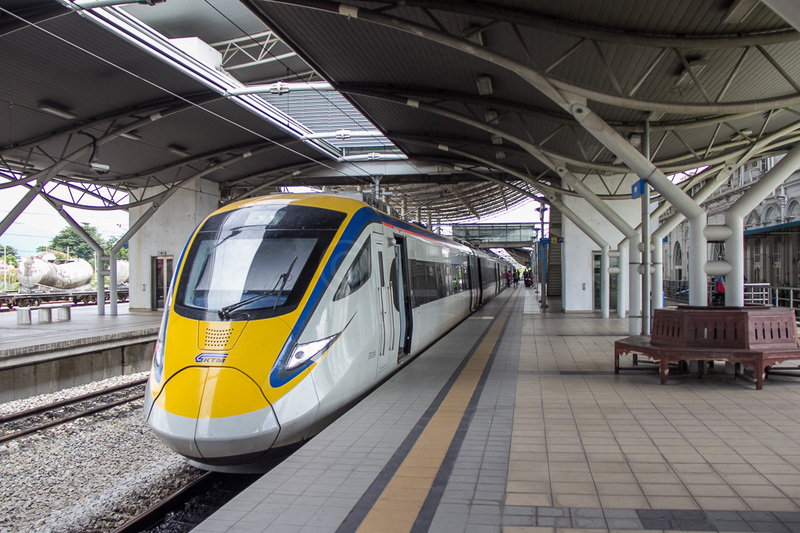 In an earlier story, we reviewed our trip to Butterworth (the hop-off for Penang island) on the new Electric train service (ETS service). 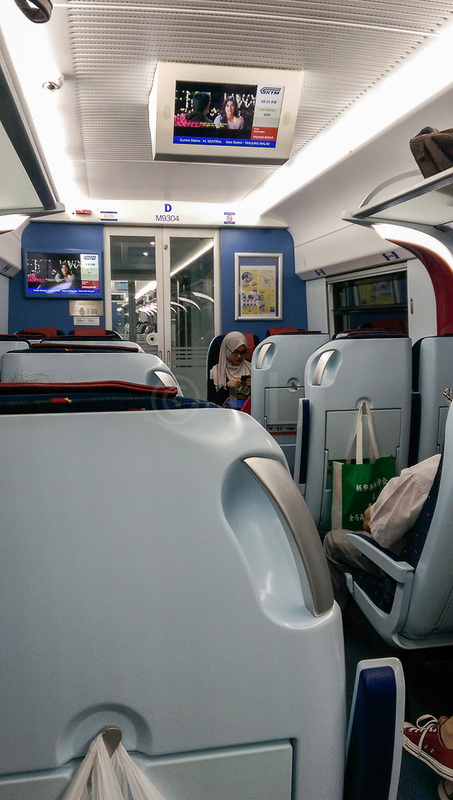 At the time, the new train sets were still undergoing testing and KTM were running a similar, but older variant. The new trains are now in service and as more sets have been acquired the schedule has been expanded. 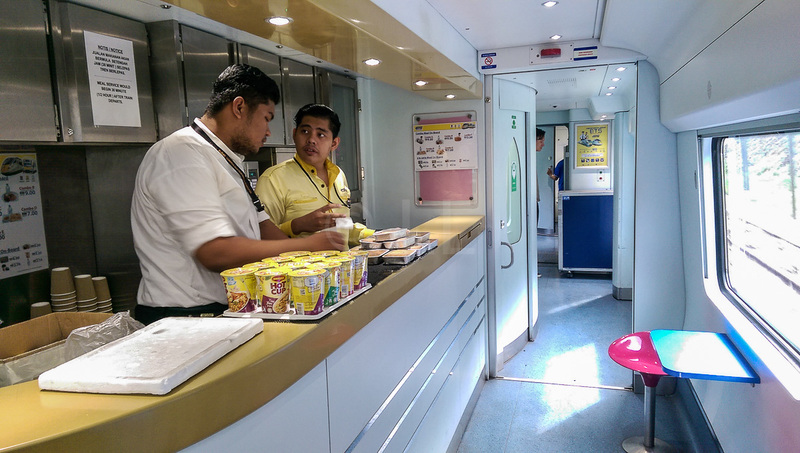 We took the opportunity to try out the service as we travelled from Kuala Lumpur to Penang for the George Town Festival 2016. The KTMB website ( the railway company) is available in Bahasa Malaysia and English. ** Please note The KTMB website is often updated/changed. You can use the link above to connect to schedules and make ticket bookings. Tickets may be purchased online or at any railway station, up to 30 days ahead. However if you are eligible for a concession ticket (Senior citizen, Disabled etc) you need to show proof of eligibility so you need to purchase at any KTM station. As noted above, the website is only available in BM, but even when translated, navigating your way around is challenging. There are instructions on purchasing online, (you can download the mobile app for smart phones) but finding any links to do so has proven challenging. This will be updated when this writer can find it! There is a phone number and email address at the bottom of the page, should you need to contact KTMB directly. 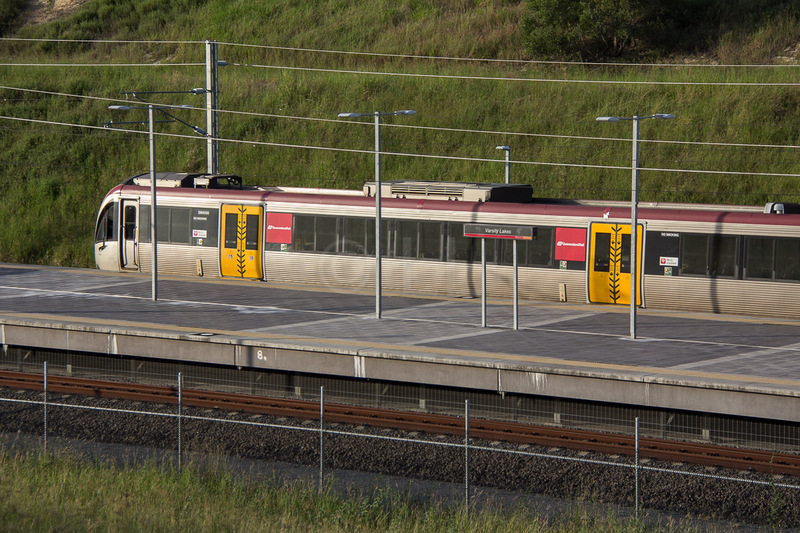 With new trains being introduced into the service, the timetable has changed a number of times since mid 2015. You should check the most recent Schedule before you make your booking. Please note that the schedule link changes often. 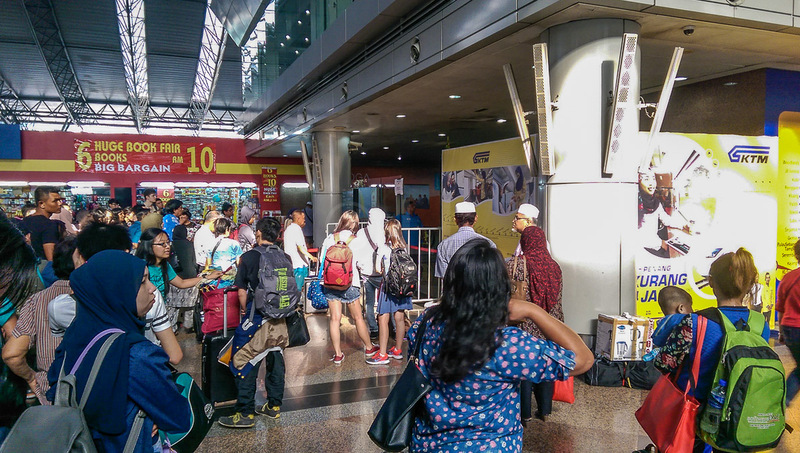 We caught the train departing Kuala Lumpur Sentral at 9.30am. The train left on time and kept to schedule with stops only at major stations, pulling in to Butterworth Station at 2.23pm. 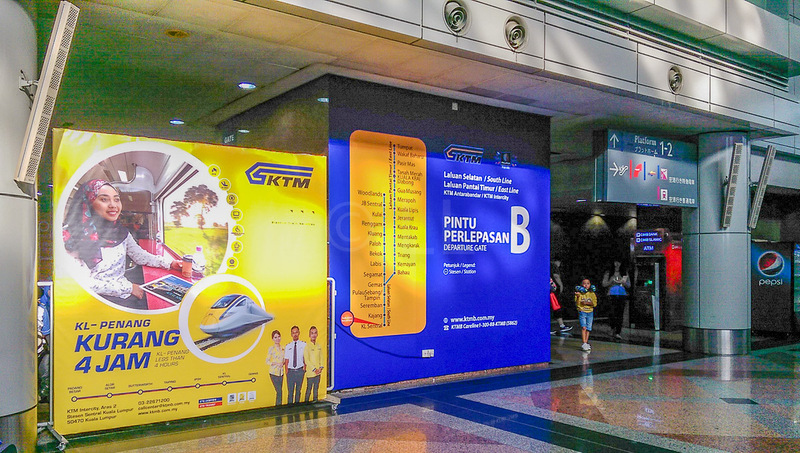 The platform in KL Sentral is at the northern end of the building at ground level. However, the entrance is one level up. If you’ve arrived at the station by commuter train or light rail, you’ll need to go up the stairs / escalator and turn left to the Departure entrance. There are fast food outlets nearby and a small shop if you need to collect some reasonably priced nibbles or drinks for the journey. If you need coffee, local ‘kopi’ is available at the bottom of the escalator up to the Departure Gate. 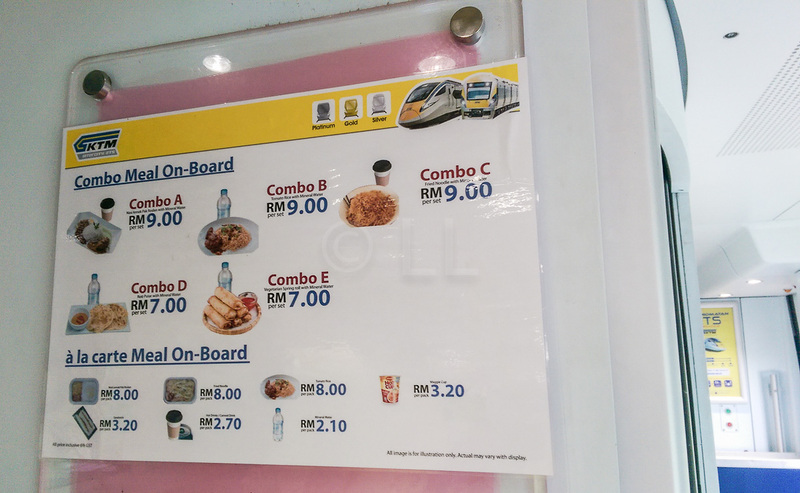 Brewed coffee is available opposite the KLIA Ekspres arrival gate – through the tunnel beside MacDonalds. Gates to the platform are opened about 15 minutes before departure and you just need to show your tickets at this point. A ticket inspector will come along after departure to check your ticket and note your destination. The train is arranged in groups of paired carriages, each with forward and rear facing seats. 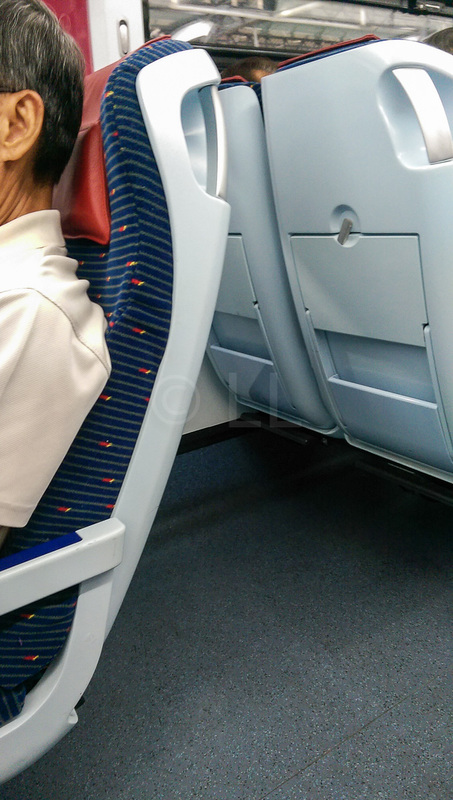 Space is provided for luggage at either end of the carriage as well as in between the different direction seats. Overhead space is quite generous and will hold a cabin sized bag comfortably. Every second carriage has a toilet, and Coach C has a small cafe. **TIP – if you select a seat at the front/rear of the carriage, you’ll have the benefit of a fixed, rather than a drop down table, especially handy if you are travelling in a group or want to eat or work. Rows 14/15 in the two carriages at each end. In Coach D look for 10 A/B and 11 C/D. We found the seats comfortable, they are shaped, but if you are comfortably proportioned, you may find them a bit snug. In any case, there’s not a lot of elbow room, so whether you use the drop down armrests or not, is a matter of personal preference. The seats recline to a comfortable angle and unless you are trying to use the tray table to work, a reclined seat in front of you doesn’t reduce your space by much. Legroom was adequate and pull down footrests were comfortably placed. There’s sufficient space under your seat for a small bag. 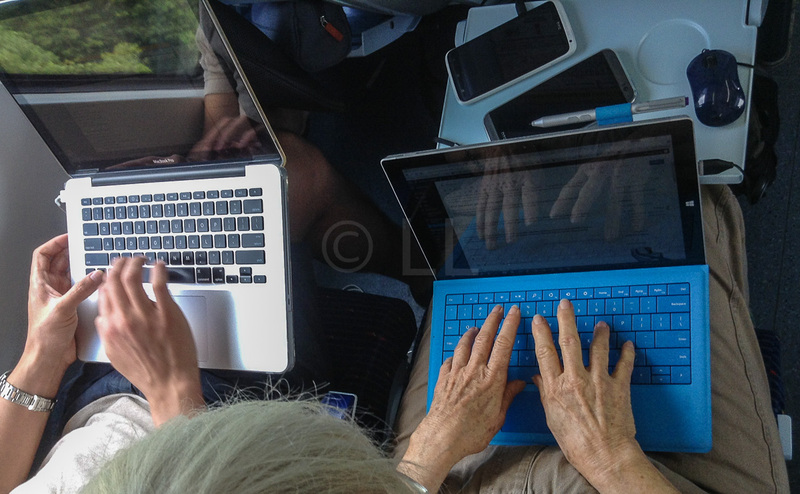 The tray table isn’t really big enough for anyone wanting to work using a laptop – request a seat at the front or rear of the carriage which has a ‘proper’ table. If you don’t have a proper table, a small laptop or tablet can be used reasonably comfortably, use the tray table for your phone to use it as a hotspot. Each coach has fifteen rows of four seats, arranged in pairs either side of a single aisle. 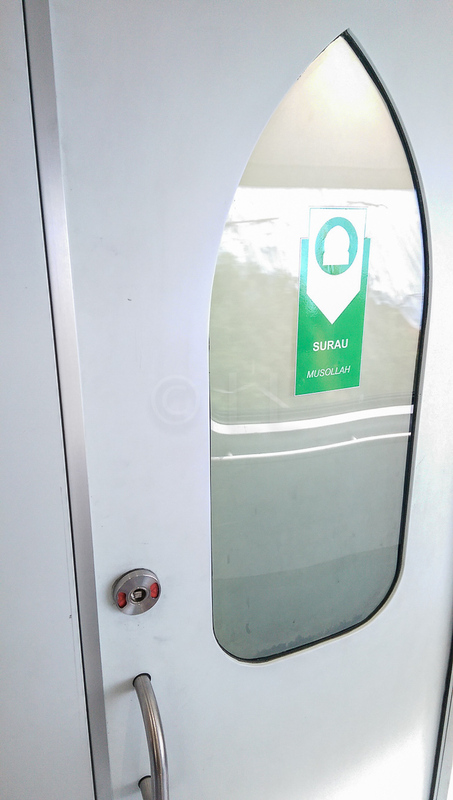 Half face each end of the carriage so a passenger in the same seat will travel either forwards or backwards depending on the train’s destination. The space in the middle of the carriage between the two rows of differently facing seats can be used to store two or three quite large suitcases, in addition to luggage space at one end of the carriage. Pull down window shades are welcome especially in the early morning/late afternoon. There are LED TVs showing a movie (with subtitles), time, route number and destination, next station and current speed. 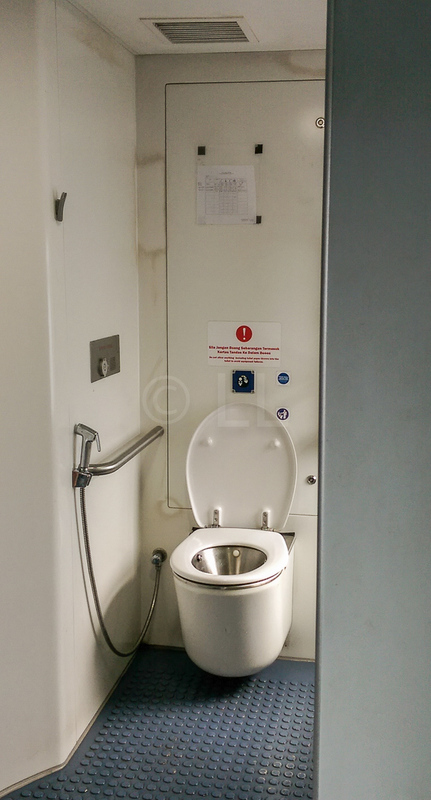 Toilets – Each second coach is equipped with a toilet with wide opening doors and a rail to assist those in a wheelchair. The toilet cubicle was clean, but the floor was a little wet before we reached our destination. Toilet paper was available early in the trip, but this ran out, so have your own supplies just in case. The sink has running water, but the soap holder was empty. 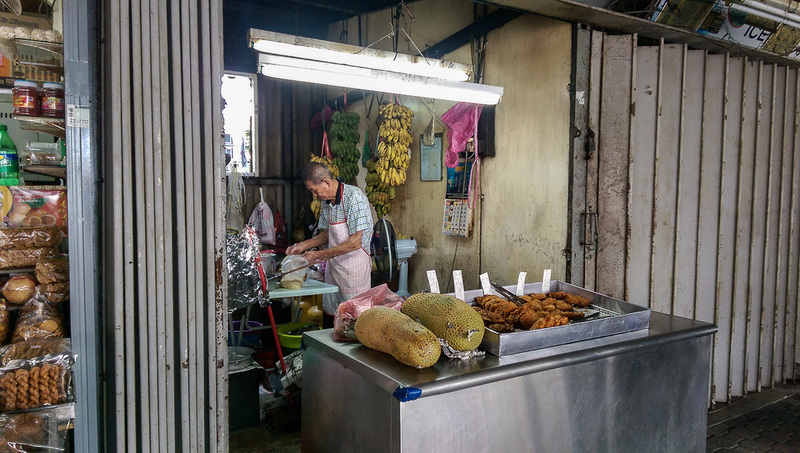 Bistro – There is a small bistro selling a range of simple local meals which can be purchased in combination with a bottle of water or coffee. They did not seem to have the simple, less expensive packets of mee siam or nasi lemak we enjoyed on our earlier trip. The coffee is premixed, and rather sweet. If you are able to plan ahead, you can bring food on board with you. 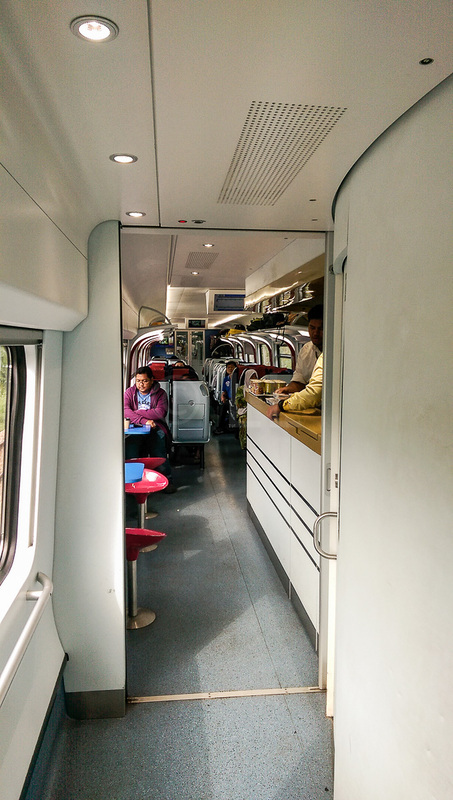 There is no service to the coaches – you have to visit the Bistro Car to make your choice and you can sit there to eat before you return to your seat if you prefer. 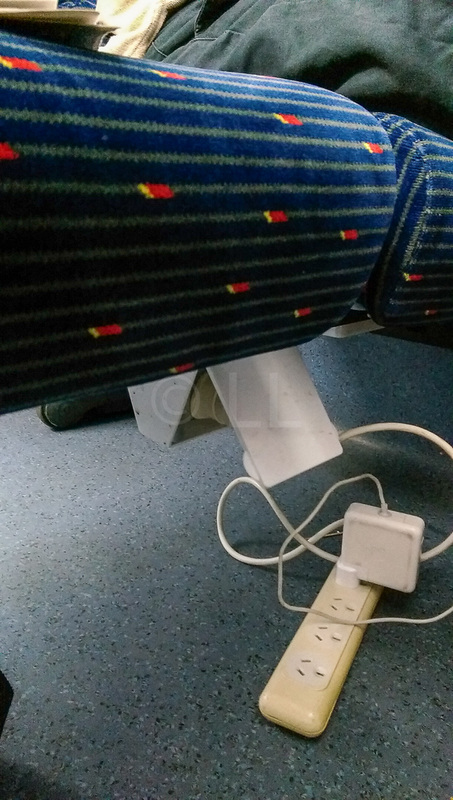 Power / wifi- The trains are wifi enabled although we found service to be intermittent and the signal poor. However, if you have a local SIM card with data, you can use your phone as a hotspot. Our Maxis service held up quite well, apart from a couple of reasonably short sections, where service dropped out. This made working online possible. We found the ride to be quite bumpy on slow sections, particularly leaving KL to about Rawang station. As we picked up speed the ride became smoother especially when we were travelling between 100 and 142kph. The service we used stops only at major stations, so the train was able to maintain higher speeds. The train speed is displayed on the TV screens in the carriage. If you want to read or just watch the view from the window, the seats are quite comfortable, with a reasonable recline. They are a bit tight if you are sharing the space with someone who also wants to use a laptop. 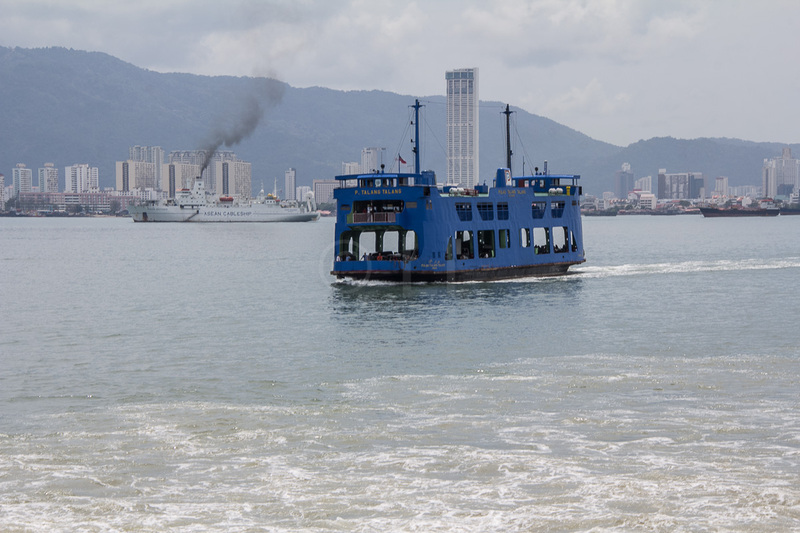 You need to catch the ferry across from Butterworth on the mainland to George Town on the island. ** UPDATE: Penang Sentral Mall beside the Butterworth station opened on 22nd November 2018. 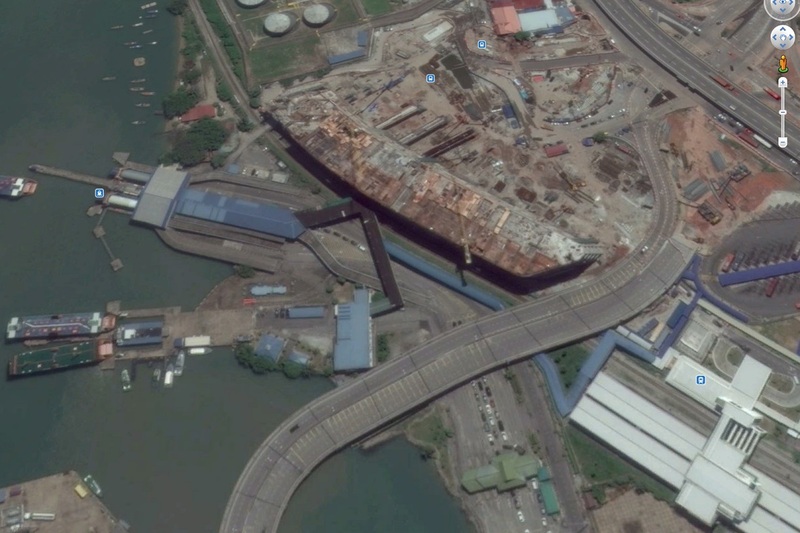 This now provides a quick link on foot, to the ferry terminal. Follow the signs. 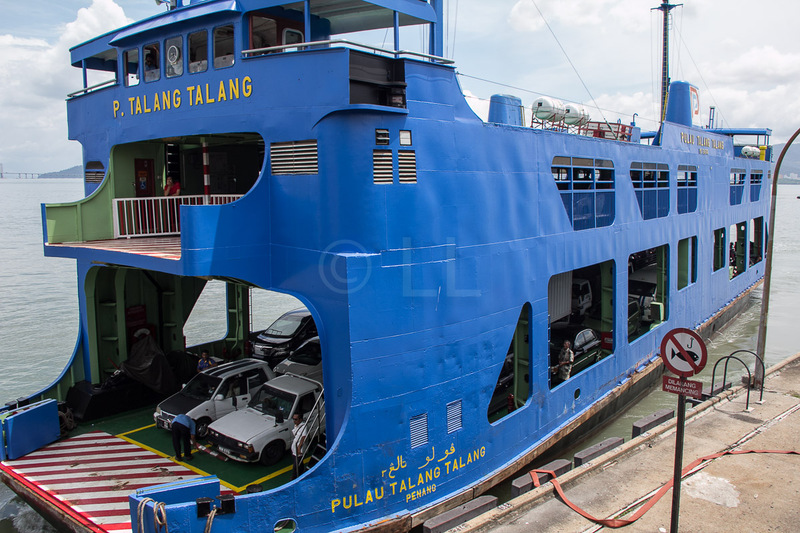 This is a combined vehicular and passenger ferry. (Adults RM1.20, children 60sen.) 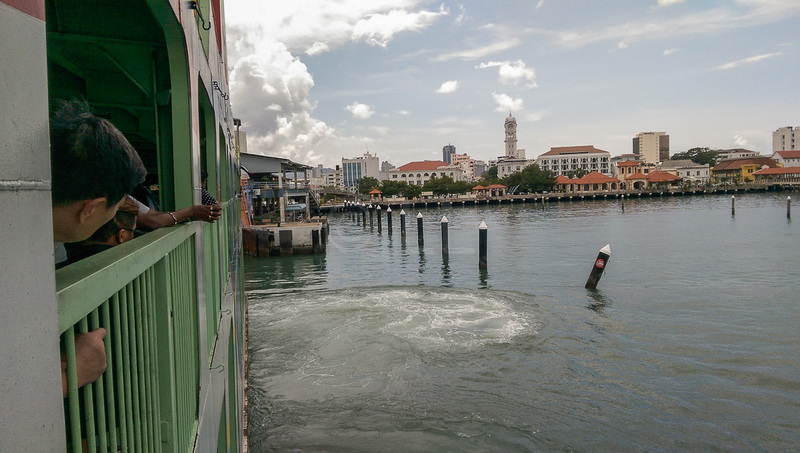 You pay only on the Butterworth/George Town journey, the other direction is free. 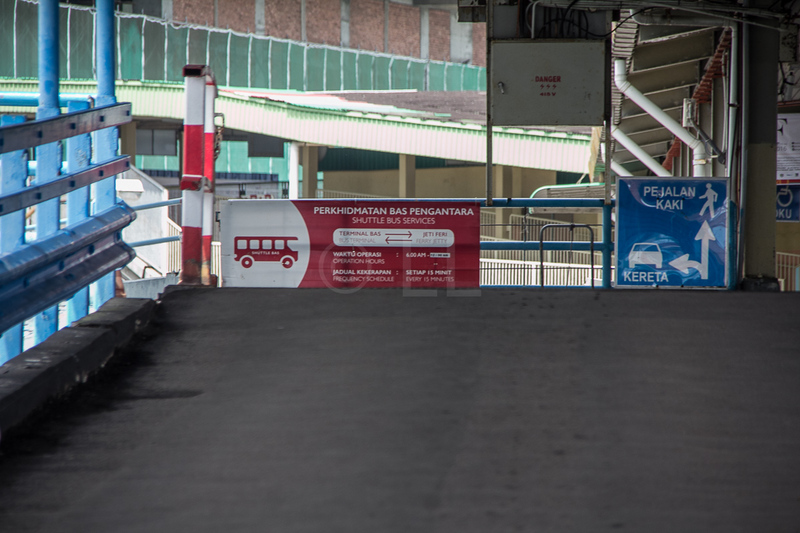 Once you arrive at the Raja Tun Uda Ferry Terminal on the island, you can catch a bus to your destination. There are two bus terminals. One is in front of the ferry ramp. 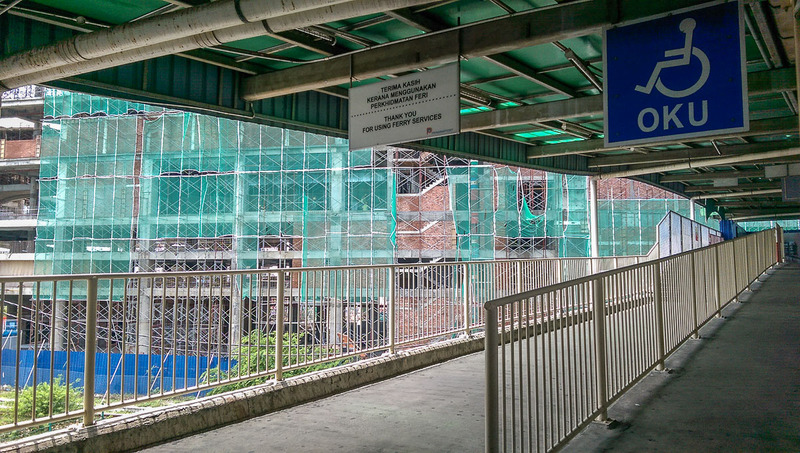 The RapidPenang Bus terminal is the large orange building on the left as you walk towards the walkover bridge. Free shuttle buses CAT (Hop On Free Central Area Transit) do a circuit of the city area leave from here. Check the board for timings and route. The CAT buses leave every 15 minutes between 6am and 12 midnight. There are lots of snacks on the walk from the ferry to the bus terminal, if you’re feeling hungry. Prices are reasonable. We are planning to travel to penang from KL as well, and we are not really sure about the time we will land from the airport. Is it stilk okey if we wait till we come to the station and buy the ticket directly there. There are a few trains running each day and your ticket has to be used on the service you have booked. 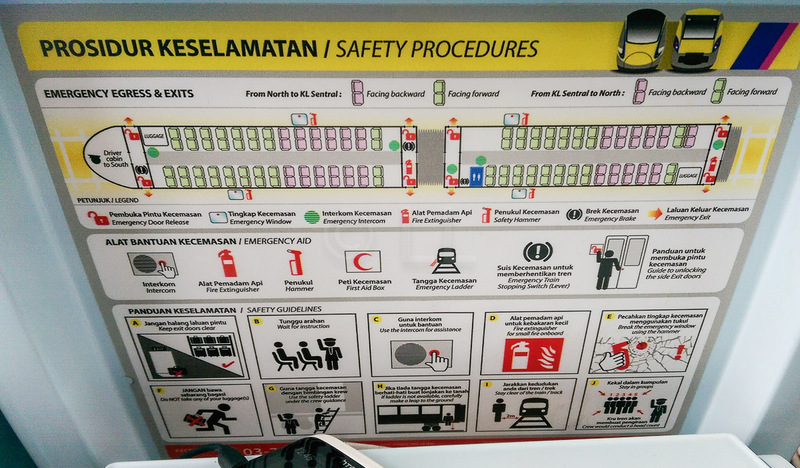 It would be safest to either book a ticket for a service that gives you plenty of time to spare – there are things to see in the area around the station (KL Sentral) while you wait, but you should be able to get a ticket when you arrive at the station if it’s not a festival period. School holidays are usually busy too. There has been an announcement recently that more services will be added, so I advise you to check the timetable, as they are updated fairly often. Hello would you say the train is ok for a disabled person? I use a wheelchair but can climb a few stairs. I’m travelling with my husband. From experience, you should be fine. If you can get a seat at the end of the carriage it would make it easier, and the stations are wheelchair friendly, with ramps and lifts. 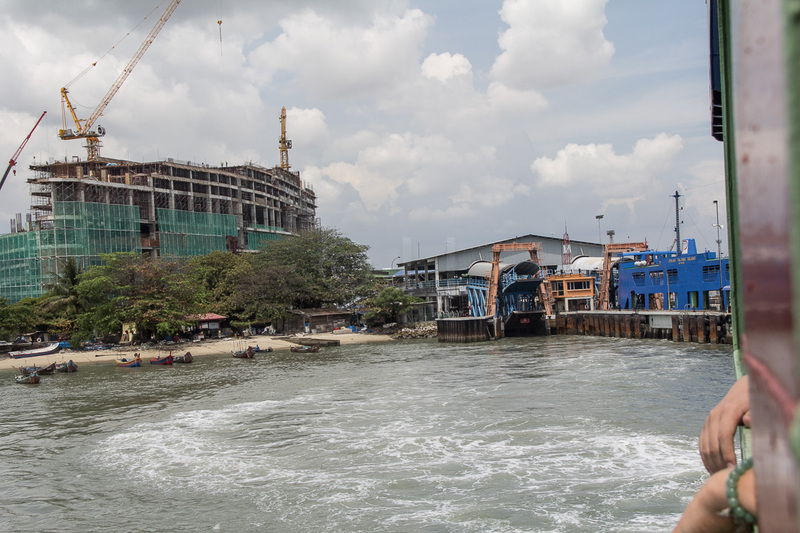 The ferry crossing should also be fine as everyone uses the ramps as there are no stairs. 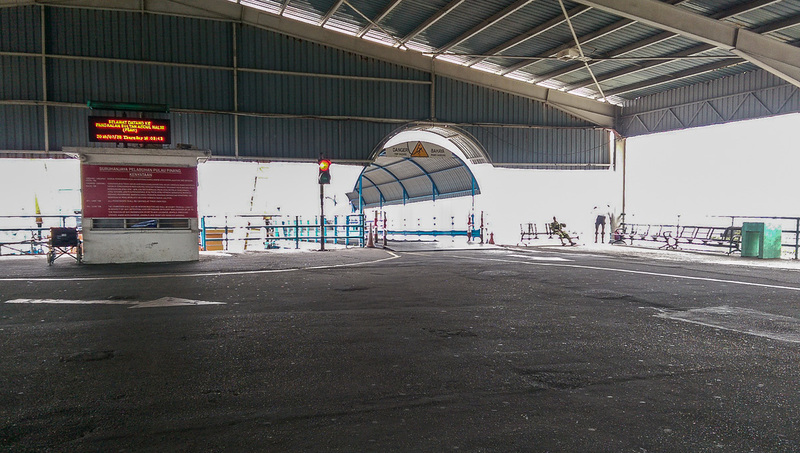 Make sure you go to the front of the waiting area while you wait for the ferry so you can board first.